Another Day, another site. This time we had a long drive, but the scenery was gorgeous. Notice the cloudy skies in the picture. 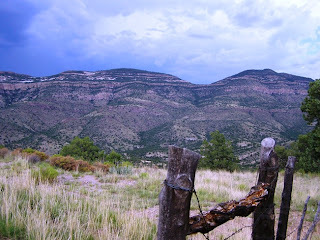 We were in NM during their monsoon season. Every afternoon for the two week I was there, the clouds would build up behind the mountains, and eventually it would rain somewhere. Though we never got rained on while doing field work, the cloud cover and the rain cooled air were welcome. I never looked to see what the temperatures were at our sites. A part of me did not want to know. But we baked, especially when working on the gravel bars. I really learned to appreciate shade and these afternoon storms. We stayed in the shade whenever we could (if you are standing around looking at plants, you might as well start in the shade). 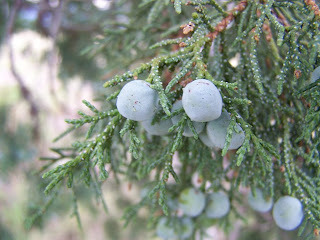 Juniperus deppeani - called alligator juniper because the bark resembles alligator skin. This was one of my favorite plants in NW. 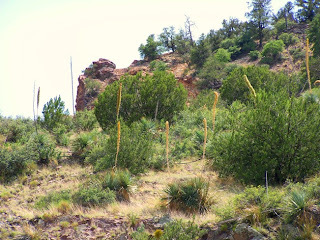 I love the tall flowering stalks (about 12-15 feet tall), the provide an interesting structural component to the scrub land. 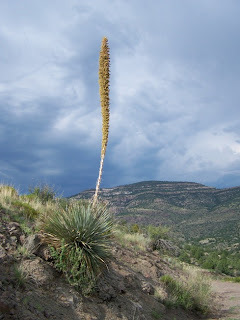 This species is a relative to Agave. 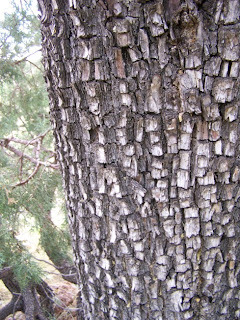 It has been used to create an alcoholic beverage called sotal, which is supposed to be very strong. 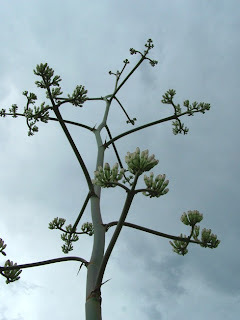 Many of the agaves were blooming. They were also amazing. 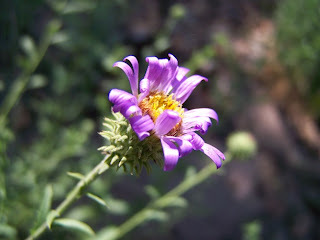 The flowers, when open, drip with nectar, but I never did find one that was open.